‘Emo’ is a term that gets thrown around a lot in modern alternative music, and when I reviewed the new Dads EP last week I heard a band try and distance themselves from it in a sense. The same can’t be said about Dowsing, with their latest release ‘I Don’t Even Care Anymore’ characterising the genre perfectly, being equally sad, nostalgic and reflective. ‘I Don’t Even Care Anymore’ is another album that stirs up emotions and tries to make the listener ‘feel’ something, which Dowsing do for the most part. Opener ‘If I Fall Asleep The Cats Will Find Me’ only utilises six words but sets the tone well, floating along on simple instrumentals. It differs from the following tracks in that it’s instrumentally dark, with the other tracks being more energetic. ‘Get Weird’ speeds things up a bit, and is one of the albums best and longest (3:06) tracks. For the most part the tracks here are short and sweet, making use of strong lyrics and delivery to convey emotion. Instrumentals are good with fast and charming guitars complementing quick drums. The vocals contrast this in a sense, often being solemn and reflective like on tracks such as ‘No Offense To The Fun’, with its final minute consisting solely of the line ‘I can’t remember the last good thing to happen to me.’ This isn’t a bad thing, as it does place more emphasis on the depressing and emotive lyrics. ‘Everything Works Out’ lets the vocals take a back seat and simply glides along, building from simple keyboards, and it shows that Dowsing can still be effecting at their most stripped back with the vocals it does contain dripping emotion and makes for a rousing listen. The albums acoustic and less layered songs are generally the better ones, but the album has a good mix of fast paced bouts of energetic emotion and the slow, melancholic crawlers. Closer ‘Nothing To Give’ summarises the album brilliantly, being a mix of sounds, and excellent lyrically. It’s also the albums longest track at just over four minutes. The album is definitely a step forward from ‘It’s Still Pretty Terrible’ and, despite only coming (roughly) a year later does show progression. It sounds more refined in a sense, keeping the elements that characterised their last release and bringing in new elements to enhance them. 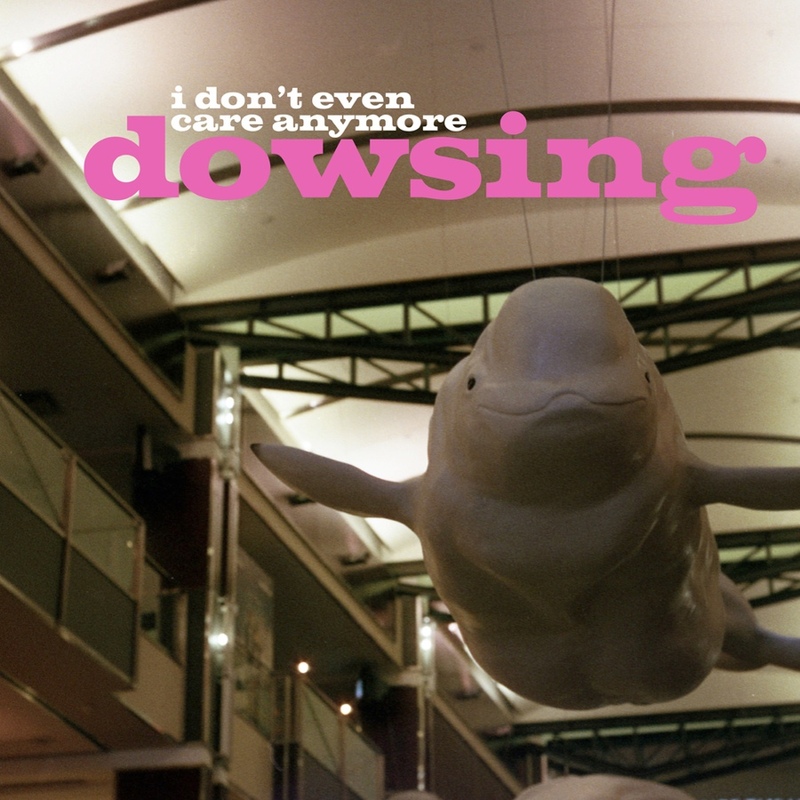 If you’re already a fan of Dowsing then chances are you’ll enjoy ‘I Don’t Even Care Anymore’, with it still being a thoroughly emotive listen, that does occasionally sound a little rushed, but never really suffers because of it.